Between the 13th and 15th of September the 3rd Crime Fiction Here and There conference took place at the University of Gdańsk. This bi-annual conference is organised by Dr Agnieszka Sienkiewicz-Charlish. This year the theme of the conference was “Time and Space”. 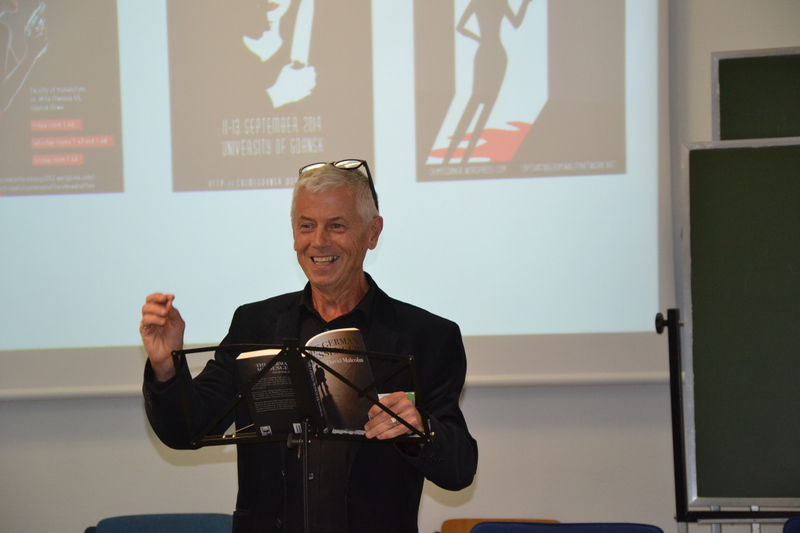 The previous conferences included panels devoted to Scottish crime fiction and in 2014 a special guest event with a Scottish crime writer – Paul Johnston. Moreover, on the second day of the conference DAVID MALCOLM gave a reading from his novels and short stories (“Stories for Dead Actresses”). Categories: Conferences, News | Permalink.